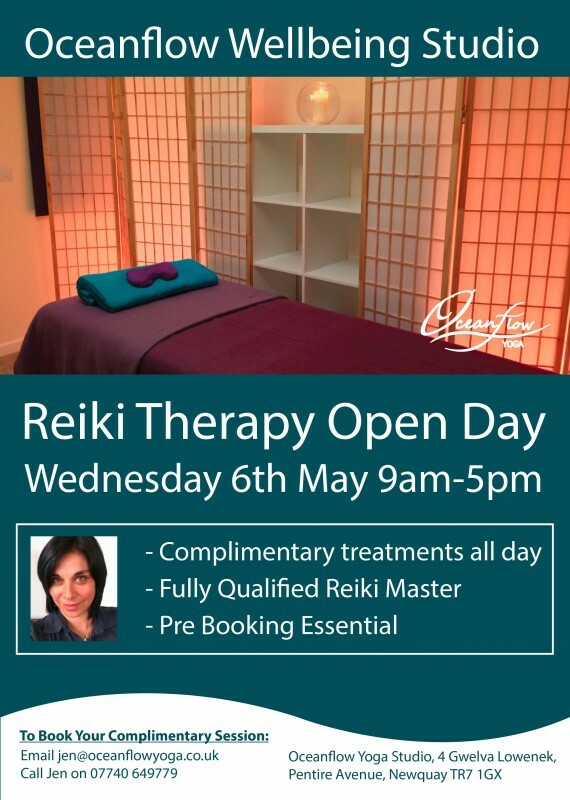 Complimentary Reiki Sessions – 6th May 2015 9am-5pm! Complimentary 25 minute Reiki will be available here with Suzanne from 9am-5pm Wednesday 6th May. Email us at jen@oceanflowyoga.co.uk to book your free slot now!